Welcome to our sewing machine feed dogs page. 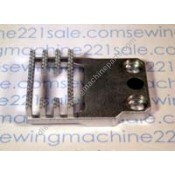 Here you will find a large selection of sewing machine feed dogs. 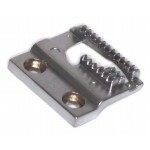 Click on any part to get more information including a complete listing of compatible sewing machines and alternate part numbers for a specific feed dog. Original feed dog No Longer Available as new. VERY LIMITED SUPPLY. Must be romoved from a machine .. 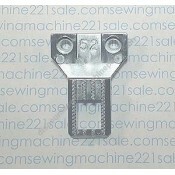 Fits the following Babylock sewing machine models BL2160, BL1556Fits the following Brother sewing ma..
Feed dog fits most side loading zig-zag sewing machines. 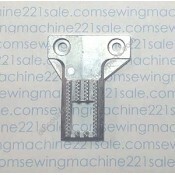 LSO fits machines using needle plate: Q10..
****No Longer Available**** Fits the following Brother sewing machine models 320, 461, 761, XL71..
Alternate Part NumbersXA443002Fits the following Brother sewing machine models LS2125, LS2125, LS2..
Alternate Part Numbers640026004Fits the following Babylock sewing machine models BL2800, BL1050Fits .. 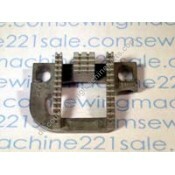 Fits the machines listed below, and other similar Kenmore 385 models.Fits the following Janome NewHo.. 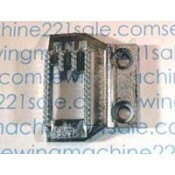 Fits the machines listed below, and other similar Kenmore 385 models.Fits the following Babylock sew.. 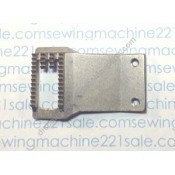 Fits the following Kenmore sewing machine models 15441, 17441, 8518, 8602, 8605, 8606, 8610, .. Fits 900, 920 Futura models using rubber adjustable feed dogs. 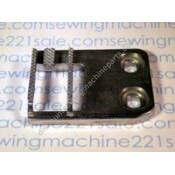 Please verify your Futura takes an ad..
Metal feed dog fits machines listed below.Fits the following Singer sewing machine models 3013, 301..
Metal feed dog fits machines listed below.Fits the following Singer sewing machine models 4530, 453..
Metal feed dog fits the machines listed below.Fits the following Singer sewing machine models 6233, ..
Metal feed dog fits the machines listed below.Fits the following Singer sewing machine models 4617, ..
Metal feed dog fits machines listed belowAlternate Part Numbers531667Fits the following Singer sewin..
Metal feed dog fits machines listed below.Alternate Part Numbers103188, 153286, 172027Fits the follo..
Metal feed dog replacement for 2001, 2010.Fits the following Singer sewing machine models 2010, 2001..
Rubber feed dog for 2001, 2010.Fits the following Singer sewing machine models 2010, 2001..
Metal feed dog fits the machines listed below, including most Stylist.Alternate Part Numbers422406Fi.. 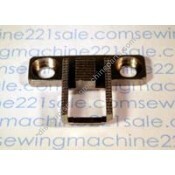 Fits most old Singer top mount feed dogs. 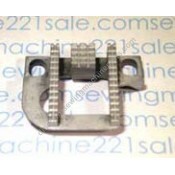 NOT for side mount feed dogs such as; 32600, 8213, 8321..
Alternate Part Numbers R28 Fits the following Singer sewing machine models 15-30, 15-class, HA1.. 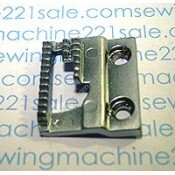 Fits the following Singer sewing machine models 185, 192, 285, 292, 99, 66.. 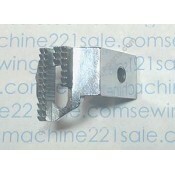 This is a replacement feed dog to match needle plate #360158900.Fits the following Singer sewing mac..
Alternate Part Numbers125261, 172244, 45219Fits the following Singer sewing machine models 15-90, 1..